Tales of Great Daring and Little Kindnesses. 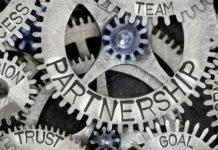 In the challenging and ever-expanding realm of the startup community, every advantage and connection can result in noteworthy payoff. One such advantage can be seen in Venture for America (VFA), a fellowship program serving as an onramp to a career in entrepreneurship. Across a number of VFA fellows, the consensus shows that VFA provides a ‘triple-threat’ of benefits, through its sense of community, accessible resources, and plentiful opportunities. 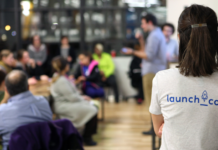 Through VFA, fellows receive the benefits of being matched to job opportunities in startup communities. This results in teams of young professionals, all driven by their desire for innovation and improvement. Simultaneously, the choice is also provided for fellows to decide where they would like to reside during their fellowship. 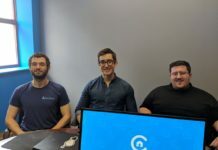 Many have found their niche best served by the startup community here in St. Louis, finding value in the city’s innumerable options for activities, relatively cheap living expenses, and great access to its various communities. Even so, the city can present an imposing hurdle if one is not willing to try and break into the local scene. A number of these VFA fellows in St. Louis provided their stories about the program and its effects and impact on their careers. VFA changed my life. That sounds like a big statement to make, but it is completely and unequivocally true. Working in startups was definitely not a foregone conclusion, and VFA gave me a pathway to think differently about my career, and what it meant to have an impact. 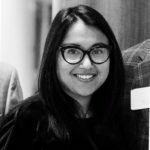 VFA helped me to see the broad range of opportunities out there and introduced me to a whole host of startups that I never would have found on my own. 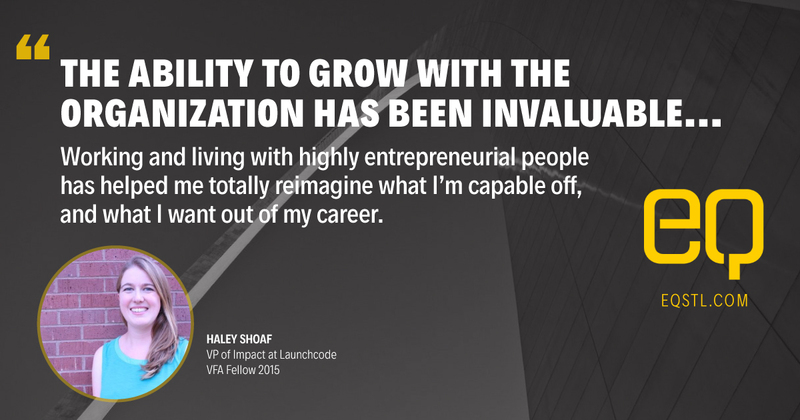 Hayley Shoaf, VP of Impact at Launchcode. I have fallen in love with St. Louis as a city. St. Louis is a city that is hungry for passionate people, and it is an easy place to dive in and contribute. 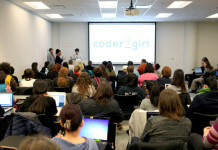 In my opinion, that kind of environment is the ideal place to launch a career. The network has been tremendous. Between my VFA class, the mentors, and the VFA staff themselves, I can basically bug anybody I want for help! VFA provides a ton of great support for fellows; they help you find a great job, cover certain expenses involved in the job search. True story – A VFA friend of mine was looking for a new position. 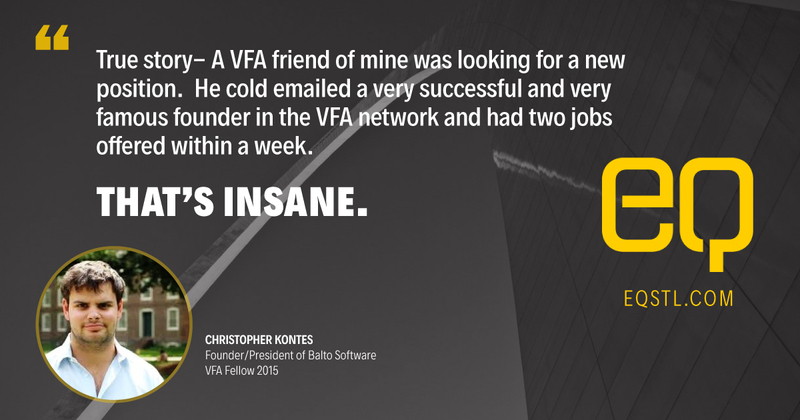 He cold emailed a very successful and very famous founder in the VFA network and had two jobs offered within a week. That’s insane. Christopher Kontes, Founder and President of Balto Software. STL is the perfect place to start a company. The entrepreneurial community is robust, the rent is cheap, and access to early-stage capital is plentiful. 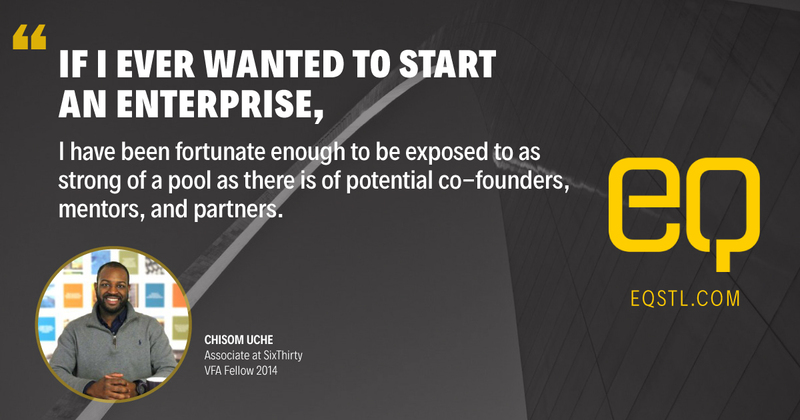 Chisom Uche, Director of Investor Relations at Cultivation Capital, Associate at SixThirty. 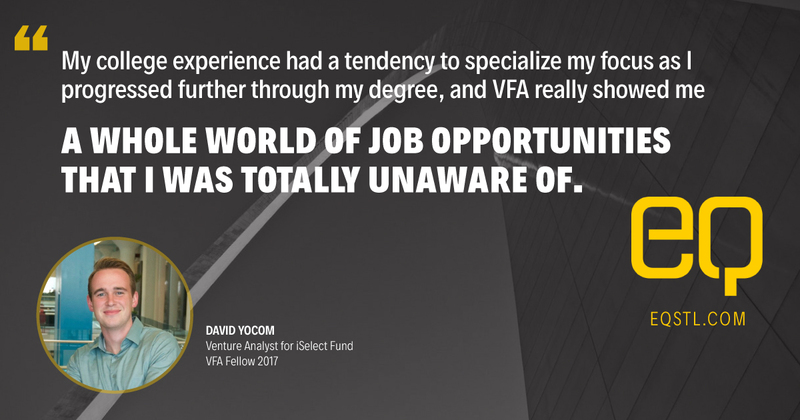 My college experience had a tendency to specialize my focus as I progressed further through my degree, and VFA really showed me a whole world of job opportunities that I was totally unaware of. 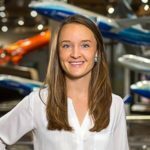 I never would have found the role I’m in without VFA and would never have thought that venture capital was a career that I would be interested in. David Yocom, Venture Analyst for iSelect Fund. There’s so much access here in St. Louis; everyone who is working in innovation & the startup community has a tendency to be few degrees of separation from someone you know well. It makes communication and collaboration very easy, and overall there’s a lot of excitement here and a ton of unique opportunities. The VFA community here has made it remarkably easier to make the move from the West Coast to the Midwest. The people! The community I have been introduced to through the Venture for America program is incredible… We are all young professionals dedicated to entrepreneurship and innovation, and trying to create and expand opportunities for others across the nation. I am inspired by my VFA peers, they challenge me to think creatively and test limits. My dream is to advance female leaders in the workplace. My goal is to capitalize on what I have been granted in life, and use that to my advantage by creating new opportunities for women who aspire to lead. I feel it is duty to provide a network of support for women who have the desire to rise up the ranks and lead by example through my own career trajectory. I have taken this more seriously and stepped up as a leader on the VFA Women Resource group. 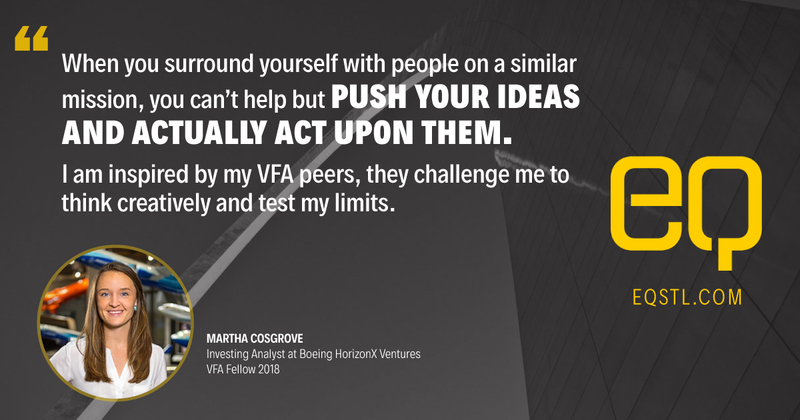 Martha Cosgrove, Investing Analyst at Boeing HorizonX Ventures. Truly though, I love the city. The startup community is vibrant and visibly growing. The city is doing a lot of development to support the growing ecosystem, which is really nice to see. VFA gives you more exposure to opportunities outside of where one would typically look for or have the visibility into. Additionally, VFA helps integrate you into a startup community from the start of your move, which as a transplant into a new city is a big plus. I would say my experience and placement through my fellowship has influenced what I want to be “when I grow up.” I’ve been working in the VC/Accelerator space and want to continue exploring this space as there is always something new bubbling up — college ‘me’ did not have this on my radar. 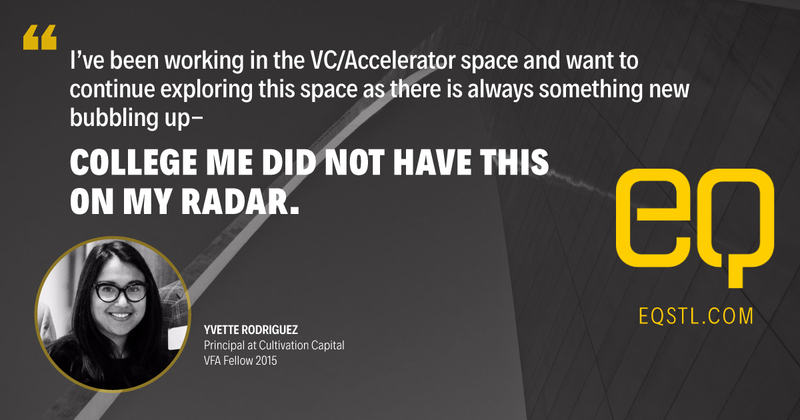 Yvette Rodriguez, Principal at Cultivation Capital. I never thought I’d live in STL after graduation — I’m not from the Midwest and went to school in Providence. St. Louis grows on you. There’s a lot to do, but you do have to be proactive in searching, and become involved with different communities/neighborhoods. 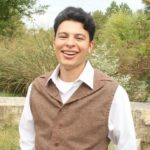 Currently a rising senior at Washington University in St. Louis, Victor has jumped into digital publishing by joining the staff writing team at Longneck & Thunderfoot. While pursuing his dual-degree in Drama and Philosophy-Neuroscience-Psychology, he formerly served as the Public Relations Chair for Wash U’s All Student Theatre.